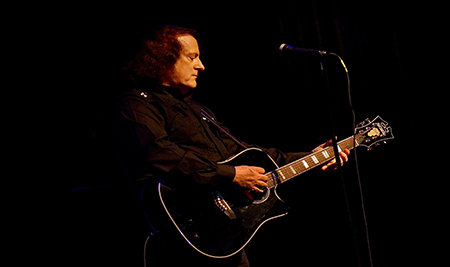 Tommy James & The Shondells - Rescheduled to Saturday, May 4! “Crystal Blue Persuasion,” “I Think We’re Alone Now,” “Hanky Panky,” “Crimson & Clover,” “Draggin’ The Line,” “Mony, Mony,” and “Sweet Cherry Wine,” are just a few of the many hits from Tommy James. 23 gold records, nine platinum albums and over 100 million records sold worldwide, in addition to his 32 Billboard Hot 100 charting hits, many have been covered by artists around the world. * Note, this show was previously scheduled for Sunday, March 3, but has been rescheduled to Saturday, May 4 due to inclement weather on March 3. Patrons with tickets to the March 3rd performance are being notified by the Luhrs Center box office about their ticket options. Please direct any questions to the Luhrs Center box office.